With the feedback we received from our esteemed DECENT ICO participants, we are developing a new and vastly improved ICO platform. We believe the new ICO platform will be less complicated, easier to navigate and offers a more user friendly experience. The transfer from the current platform to the new and improved platform will be seamless. All you need is the same email address you used to register your current ICO account! You will receive an email from DECENT with registration instructions and a link to the new platform. 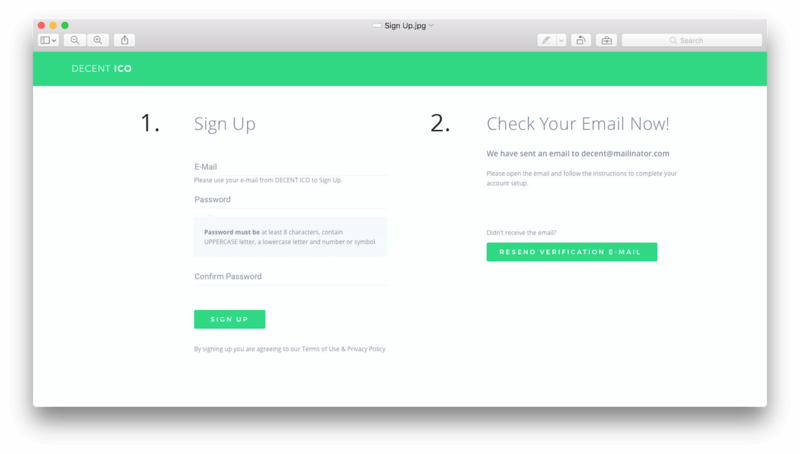 To ensure the utmost security, the new platform requires a few simple steps for registration. Firstly, you will need to enter your email and set up a new password. Follow the instructions in the received email to proceed. 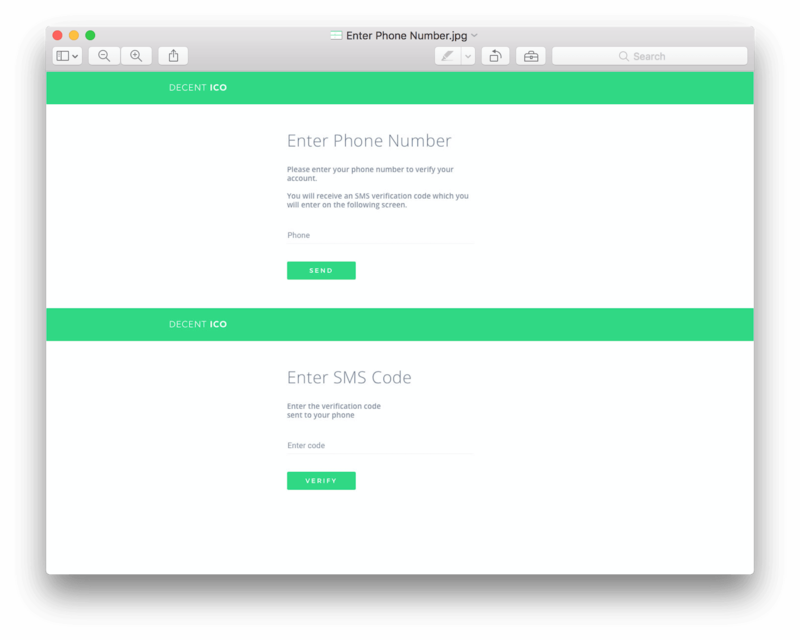 Next you will enter a phone number to receive an SMS code which you will enter for verification. This is known as a 2 Factor Authentication (2FA) and having both email and SMS verifications ensure the best security for your DECENT account. SMS authentication will be one of the possible options for securing your account. Currently we are investigating several 3rd party services such as Google Authenticator or Authy that will be used for the 2FA protection of DECENT ICO accounts. All the details including the security measures will be distributed to all ICO participants in approximately 2 weeks before the official DECENT Network launch. All of your account information from the current platform will automatically be transferred to the new platform once you have finished the steps above. On the new platform you will be able to view DCT balance, as well. Keep all the passwords secure and do not share it with others! Additionally, we would like to emphasize, these newly created accounts are not part of the Blockchain yet. You will be informed about the transition instructions prior to the launch of DECENT Network. Please note that if you are currently experiencing issues with receiving verifications emails and problems with logging into the original platform, that will not be needed anymore. The only thing you need is to have access to the email you used for the original platform registration. Expect an email containing more information and detailed instructions for setting up your account on our new platform, before the official launch of DECENT Network. We value the feedback and constructive contributions from all of the DECENT ICO participants and DECENT Network followers. Thank you for the support!